Prolost Boardo is a set of Adobe After Effects presets that streamline the process of creating an animated storyboard, or board-o-matic. They work well with storyboards drawn in the Paper iPad app. No template is necessary to draw storyboards in Paper. Just draw in the upper part of the landscape canvas, leaving the tools exposed. 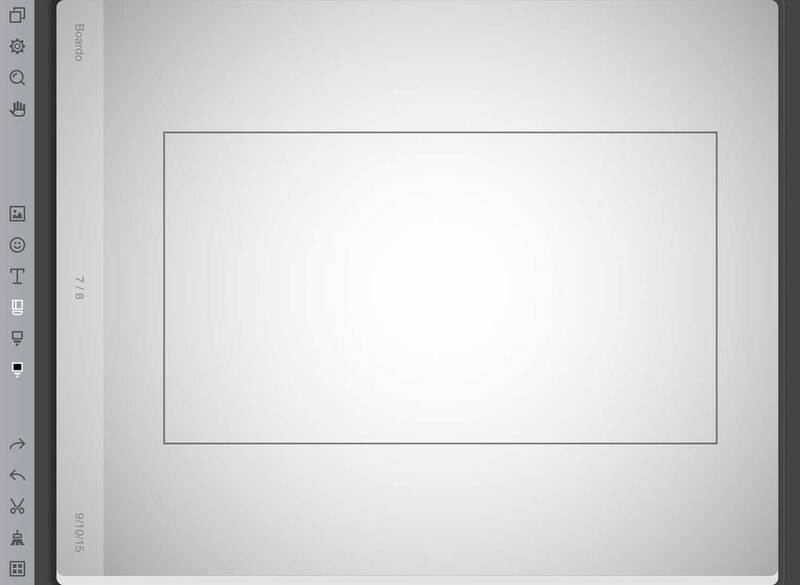 Here's how Boardo will crop your Paper storyboards in a 16:9 composition. Draw in portrait orientation to give yourself room for dramatic tilt-ups and tilt-downs. In Boardo, use one of the Paper Setup Presets. Boardo will automatically crop your image to roughly what you see above right. If you draw with this margin in mind, you'll find that your Paper boards look great in Boardo — and you can always tweak the framing using the Setup controls. You can also draw in portrait orientation, and use Boardo to pan around the vertical composition. Boardo also works with storyboards drawn in Paper on the iPad Pro. Ever since I was a little boy, I've wanted to draw so badly. Prolost Boardo is a set of Adobe After Effects presets that streamline the process of creating an animated storyboard, or board-o-matic. They work well with storyboards drawn in the Noteshelf iPad app, using these Custom Paper templates. To install the templates, first visit this page on your iPad. Go ahead, email yourself the link, like an animal. Tap a link below to open the template image, then tap and hold, and choose Save Image to save the file to your iPad Camera Roll. Use Boardo-HD for standard 16:9 aspect ratio projects. Use Boardo-Scope for cinematic 2.39:1 projects. Tap ⊕ to create a new Notebook. Select Custom from the Paper Categories tabs (you may need to scroll the list horizontally). Tap the empty paper field. The photo browser will appear. Choose one of the template images from your Camera Roll. Name the 16:9 template Boardo HD, and the other one Boardo Scope. Now you can create a Notebook using your new Custom Paper. In the Notebook, tap the settings gear. Under Orientation Settings, choose Lock in Landscape Spine Up. Now you're ready to start drawing. To learn how to export and animate storyboards created using these templates, consult the readme, or watch the video. Saving the Custom Papers in Noteshelf.